The Preston County Sheriff's Department said the body of a Preston County man was recovered from the Cheat River on Sunday. 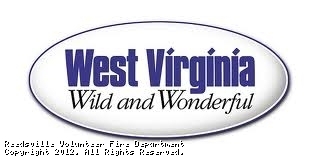 Officials said Jimmy Taylor, 29, of Masontown was recovered by swift water rescue teams at about 1:30 p.m.
Jimmy Taylor was swimming in the river with his brother Robert Taylor, of Tunnelton, when swift waters carried him away early Saturday morning, officials said. Officials said Robert Taylor attempted twice to get him out of the river but couldn't. Robert Taylor left to get help, but got in a car accident on the way. He was taken to Preston Memorial Hospital for non life-threatening injuries. Jimmy Taylor's body was recovered about a half mile down the river near an area known as "Party Rock," according to officials. Preston County Sheriff Daniel Loughrie said Robert Taylor told authorities the two men had been drinking. Loughrie said a family member made a positive identification on Jimmy Taylor's body. "This is easy access because we're right off the blacktop here, and it's a lot of fishing a lot of rafting, and a lot of people swimming. These people here were camping, camping overnight when this happened." said Dan Luzier of Masontown Fire Rescue. Jimmy Taylor's body was sent to the medical examiner's office for an autopsy. The Preston County Sheriff's Department said the investigation is still ongoing. Masontown Fire Rescue, Rowlesburg Volunteer Fire Department, Camp Ambulance, Preston County Dive Team, and a dive team from Barbour County made up of Junior Volunteer Fire Department and Belington Fire Department all responded. This site has been viewed 203,599 times.